MullenLowe London has completed its acquisition of independent creative shop 101 in a move that marks the end of the six-year-old agency brand. The deal, which was revealed by Campaign in July, will tie the independent shop’s founders to a three-year earn-out. The 101 brand will be axed and the six-year-old agency’s 40 staff members will move across London from Somerset House to Shoreditch in October. Mark Elwood, founding creative partner at 101, will become executive creative director at MullenLowe, reporting to existing chief creative officer Jose Miguel Sokoloff. 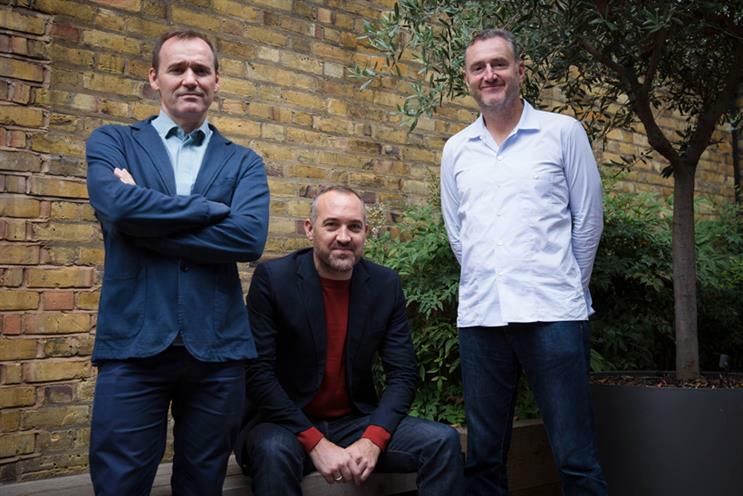 Tom Knox, chairman of MullenLowe, will become an executive partner, alongside 101 founding partners Laurence Green and Phil Rumbol, who will also become executive partners. Dale Gall will remain as group chief executive of MullenLowe London, having replaced Richard Warren last year. He has presided over an exodus of senior management, including ad agency chief executive Jamie Elliott, chief creative officer Dave Henderson, and executive creative directors Richard Denney, Emma Perkins and Eloise Smith. Green, Knox and Rumbol will report to Gall. Steve Waring, the fourth 101 founding partner, will become chief financial officer at MullenLowe London, replacing Alan Adamson, who is leaving the Interpublic agency. Rumbol, a former marketer, was a client of MullenLowe predecessor Lowe Worldwide, when he was at Stella Artois, working with Green, who was a strategist at the agency. The duo also worked together when Rumbol was at Cadbury and Green was at Fallon London, creating the multi-award-winning "Gorilla". The purchase of 101 immediately expands MullenLowe’s roster of clients. Brands that will move to the agency include Heineken-owned Amstel and Desperados, Subaru and Zoopla. MullenLowe has suffered a number of setbacks in the last year. In addition to parting with a number of senior staff, its major client Unilever cut its marketing spend significantly. In July it acquired PR agency Salt to bolster its integrated offering. Green said: "Becoming part of MullenLowe doesn't just mean a broader offering for our clients and a bigger stage for our colleagues. "We know, like and respect the team, and we share their mission to win an unfair share of attention and success for their clients. It's an exciting new chapter for us all, perhaps especially for Phil and I as people who earnt their advertising spurs at Lowe, as client and strategist respectively."